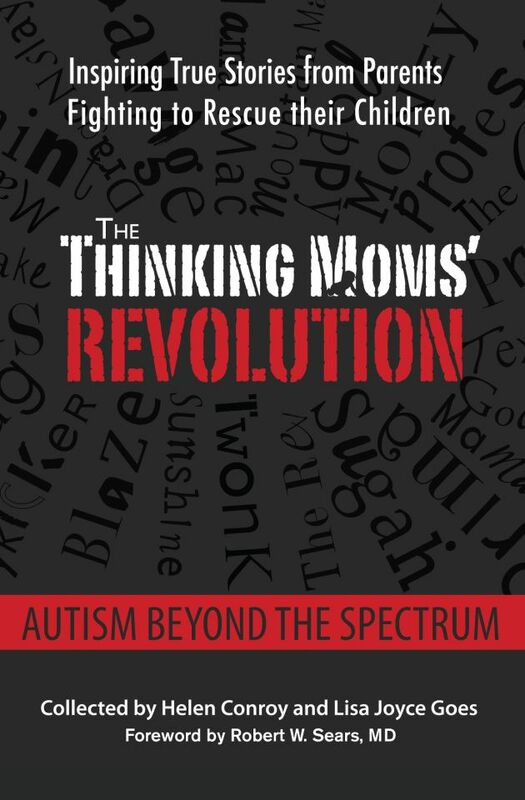 The Video Page features a gallery of videos by the Thinking Moms. We receive many questions from our blog readers and Facebook followers, so we decided to list down the 10 most frequently asked questions and reply to them on video. What do you think contributed to your child’s medical and developmental issues? What advice do you give to new parents and pregnant moms when it comes to pediatric medicine? When did you start to worry about your child? Where have you found the best help for your child? What was your child’s biggest medical problem? What is the hardest thing for your child to participate in? 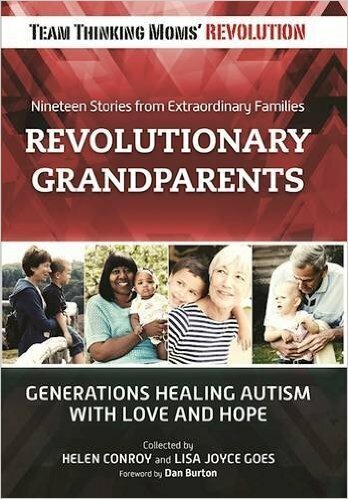 What effects has your child’s autism had on the other children in your family? What kinds of treatments or interventions have been the most helpful for your child? Have your child’s medical issues been covered by your insurance company? 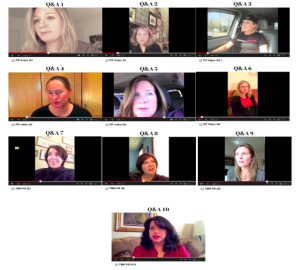 To listen to our answers, please click on the videos. 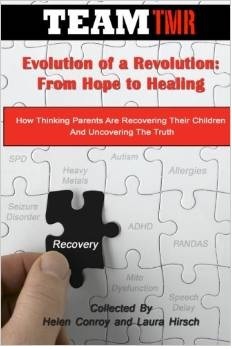 ALISON MACNEIL – CAMBRIDGE, MA – 0:06 The problems we were experiencing with our children are not rare, in fact incredibly common. LISA JOYCE GOES – NEW LENNOX, IL – 1:05 Over 50% of the population have children with special needs or chronic illness and that is a staggering statistic. Our goal is to help people know that they are not alone. HELEN CONROY – NAPLES, FL – 2:32 People don’t know what your going through and it’s hard to do it by yourself. One of the things that inspired us to really write the book to share that type of support and to hope inspire it in othe people. We share our stories in the book and we hope that people identify with at least one of us. LISA JOYCE GOES – NEW LENNOX, IL 0:06 Started at birth, he received the Hepatitis B vaccine. MEGAN DAVENHALL – ANNANDALE, VA 2:01 Definitely the overuse of antibiotics, coupled with getting vaccines while he was sick and getting vaccines while he was on antibiotics. SUGAH – HOUSTON, TX 3:27 Silver fillings, they are 48% ethyl mercury, the second most toxic material on the planet. JENNIFER LIMEKILLER – LINCOLN PARK, NJ 4:00 she received major insult in utero through her mothers addictions, and then very poor medical care after that. ANGELE DESCKI O’CONNELL – SAUK CITY, WI 6:40 the last straw was his series of vaccines that he received that pretty much made him spiral out of control, he lost eye contact, he no longer laughed, he pretty much seemed deaf and mute. SUGAH – HOUSTON, TX 0:13 Be the person that receives the advice from the doctor or anyone else, does their own research and thinks. They need to look at all the sides not just what their being fed. 1:37 Read the vaccine inserts, read the side effecrs of medications, get your kids healthy foods to eat. LISA JOYCE GOES – NEW LENNOX, IL 2:20 Do your homework, find a pediatrician who reads the package inserts on the vaccines. CATHY BRENNAN REILLY – ROCKPORT, MA 3:36 My advice would be to really do your research on those medical intervenions. 3:58 Do as mUch research on the medical interventions as you would do on a car seat, or a crib, or a paint. ALISON MACNEIL – CAMBRIDGE, MA 0:06 I first started to worry about my son about 16 months. He stopped playing with his toys, he stopped making eye contact, didn’t notice if you walked into a room, and had liquid rancid diarrhea all day long. 0:49 He was not talking like he should be talking, he would just parrot back whatever I had to say. CATHY BRENNAN REILLY – ROCKPORT MA 1:31 At around 18 months he got a cold, a regular cold which turned into pneumonia which turned into ear infections which turned into pneumonia again. During that time he had a fever related seizure, 6 to 8 weeks after the illness he recovered and um, he had lost all his language, he couldn’t speak any more. ZOEY O’TOOLE – NEW YORK, NY 0:07 By far the best help for my son’s speech issues has come from other parents, especially one’s dealing with a dual diagnosis of Autism and Apraxia. CATHY BRENNAN REILLY – ROCKPORT, MA 1:30 I found out what would help my son the most, from other moms. 1:52 There was no medical, no intellectual curiosity about why my son was not thriving. 3:12 They (parents) are so full of information, they have done research, they read, their smart, they just don’t listen to doctors. ZOEY O’TOOLE – NEW YORK, NY 0:07 My son has apraxie which is a speech planing disorder, but the first things I noticed had nothing to do with speech. MEGAN DAVENHALL – ANNANDALE, VA 0:45 Our biggest medical problem has definitely been growth for our son and malabsorbtion and failure to thrive. ALISON MACNEIL – CAMBRIDGE, MA 1:32 He has been diagnosed with absence seizures, mitochondrial dysfunction, he’s hypothyroid, he has lymphoid nodular hypoplasia in his small intesteine and inflammation in his brain. MELANIE HAMILTON BALDWIN – MEMPHIS, TN 1:52 My child’s biggest medical problem has been his sound sensitivity. 2:32 He responds to pain by banging his head, or biting his finger. CATHY JAMESON 0:09 Activities out in town from errands to going to the park, the roller skating rink. Some weekends even going to church is too much. JENNIFER LIMEKILLER – LINCOLN PARK, NJ 1:00 The unstructured activities. MEGAN DAVENHALL – ANNANDALE, VA 1:34 He has a very difficult time with initiating conversations, sustaining conversations, and communicating with other people. ANGELÉ DeSECKI O’CONNELL – SAUK CITY, WI 0:57 Our 5 year old has to deal with a lot of yelling and screaming in the house um, he has to deal with his older brother pushing him and hitting him quite often, that has been a huge stressor for us. LISA JOYCE GOES – NEW LENNOX, IL 2:38 It’s very difficult because our two young children tend not to understand why he behaves the way he behaves, why he does what he does, ah and why he’s so sick and why we spend all our family vacations at doctors offices. CATHY JAMESON – 4:02 We have a really busy and sometimes loud house. But when it comes time for my kids to encourage their brother and to give him the space that he needs, or the time he needs to complete a task, the kids jump in and they are Ronan’s biggest cheerleaders. MELANIE HAMILTON BALDWIN – MEMPHIS, TN 0:35 By far, the biggest thing is treating him for yeast, candida issues and bacterial issues in the gut. CATHY BRENNAN REILLY – ROCKPORT, MA 1:46 Nutrients, vitamins, supplements, whole foods. MEGAN DAVENHALL – ANNANDALE, VA 2:19 The treatment that has been the most helpful for us has been homeopathy. MELANIE HAMILTON BALDWIN – MEMPHIS, TN 0:08 We have not been able to use insurance for most of my son’s medical issues. 1:03 Most of the things that have been most helpful for him are the things that aren’t covered by insurance. ALISON MACNEIL – CAMBRIDGE, MA 1:43 Even though Massachusetts has a um Federal Autism Plan, if your health insurance is a self funded plan they don’t have to follow it, so that’s been the case for us. JENNIFER LIMEKILLER – LINCOLN PARK, NJ 2:07 It doesn’t cover most of the interventions that I find most effective for my daughter. 3:02 It’s a shame that insurance doesn’t cover many of the things that work best for our kids. ANGELE DeSECKI O’CONNELL – SAUK CITY, WI 3:40 Our insurance does not cover a lot of things because of his autism diagnosis. It would not cover any of the behavioral therapies that we have done, it did not cover a lot of the biomedical things that we have done.